Versatile, long lasting, and effective, dental implants have fast become the gold standard in tooth replacement. They are the only available option that replaces both the roots and crowns of missing teeth, leaving you with a flawless, healthy smile. If you’re considering tooth replacement with dental implants, contact the friendly Plano dentist and dentistry team at Preston Bend Dental to schedule a tooth replacement consultation with our team today. 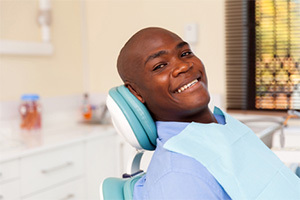 We’ll walk you through your restoration options and partner with you to develop a personalized smile restoration plan. The benefits and disadvantages of implant supported tooth replacement will be discussed to help you decide whether or not they’re right for you. You know that sunken in facial appearance you associate with denture wearers? That occurs due to the diminishment of healthy jawbone density and gum tissue volume that proceeds the loss of one or more teeth. The roots of teeth provide the stimulation necessary to preserve this healthy structure, but without tooth roots, supportive structures are resorbed. Implant posts replace the lost roots of missing teeth, replacing the healthy structure and preserving gum and bone tissue. This ensures your face maintains its healthy, youthful appearance as well. Following extensive tooth loss, a traditional denture allows patients to regain some of the appearance and function of their healthy smiles, but these removable prosthetics significantly limit the diet as they only restore about 20% of healthy chewing function. Implant retained prosthetics allow patients to eat all of their favorite foods, replacing 70% or more chewing ability. 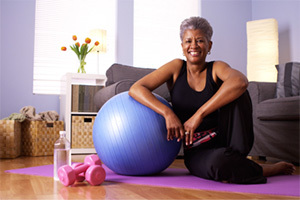 Traditional replacement options – fixed bridges and dentures – rely on surrounding teeth and gum tissues for support. Unfortunately, this can be hard on the healthy dental tissues, leading to additional damage or further tooth loss. Dental implant posts make these advanced tooth replacement prosthetics completely self-supporting like your healthy, natural teeth, so your remaining teeth and oral structures aren’t adversely impacted by dental implant supported replacement teeth. Traditional fixed bridges require little or no change to your daily hygiene routine, but more advanced removable denture prosthetics can be difficult to clean, especially if you have arthritis or other concerns that impact dexterity. Implant supported crowns, bridges, and dentures can be brushed just like your healthy, natural teeth. This is a much better option for many patients. Worried about the appearance of your fixed bridge, partial, or full denture? Tired of slipping sliding dentures when you’re talking to friends? 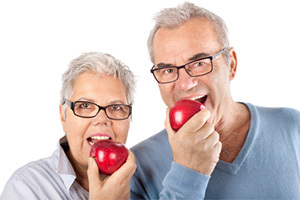 With a natural feeling and functioning implant denture, you can speak clearly, chew a wide range of foods, and smile with complete confidence. Dental crowns, bridges, partials, and full dentures need to be repaired or replaced every five to ten years to ensure optimal function. Dental implant supported replacement teeth can last for two decades or longer with proper care. In fact, these natural looking, feeling, and functioning restoration solutions have a 90 to 95% success rate after 20 years.